Although I am in much better physical shape than I was December 31, 2011, I struggle immensely with the frustration of wanting to do so much more on the ice. It has been much harder than I imagined trying to reacquire the skating skills I had as a child. Making progress figure skating requires perseverance at any age … much more so as an "older" adult. We lack the stamina, flexibility and strength and many of us are also dealing with sore joints and muscles, injuries and fear that is very hard to overcome. 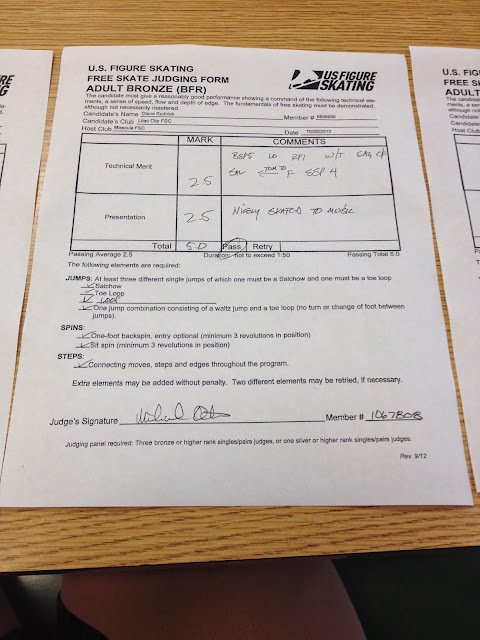 In 2 years, I have taken 4 skating tests and skated in only *1 competition. This was my last practice of the year …. I skated 4 days this week. Monday was just practice ice. Tuesday practice + MIF lesson. Wednesday practice + freestyle lesson, Thursday practice + choreography lesson. My dogs are barkin' and my bones are rusty! Today was quite fun actually. I met with my new choreography coach Noreen Clohessy-Olson and we really went to work on outlying my Light Entertainment program. Sadly none of that is on the video .. we needed my phone to listen to the program music. Spirals and a few spins. Late start to practice today without off ice warm up. worked on some Silver MIF before my lesson tomorrow. Afterwards I did some work on spread eagles.. It's hard for me to go from the inside to the outside. The choreographer wants me to try outside-inside-outside ... of course she wants me to do something I can't do yet! I also took a nice face plant just doing a mohawk x step ... for your enjoyment! Since I took Friday off I wanted to skate over the weekend and try a few of the things I learned from the choreographer. When you put it all together and DO IT RIGHT .. it should look pretty good. Right now I look like I am drunk and stumbling out of a bar. While gliding on a Back RO Edge I am supposed to bring my L knee up to my chest, reach over and grab the heel of my L boot with my R hand and while still gliding --- extend my left leg as much a possible, striving for a straight leg, L arm off to the side. I was warming up before meeting with a choreographer today so I only captured a few minutes of some spins and jumps. Wearing a dress so she can see my line when I skate .. pants tend to cover your knees too much. Took a nice fall on a Flip Jump and made a little Camel Spin progress - yet all the other spins are sub standard. Choreography session was on ice but not video taped. I will try and capture next weeks meeting. Today was more of a meet and greet. She has never met me before nor seen me skate. She is a non-skater but has worked with skaters (much higher levels than me) for many years. She knows her stuff. Today we listened to my music and she had me improvise to see what may skating flow was, do a few jumps and spins and we tinkered with some footwork. She had great tips for me on getting my spread eagle from outside to inside and back to outside which is the hard part. She also showed me how to start learning a back spiral variation she called a "clam shell spiral" .. to me it looks like it's a "Y spiral" ... back outside edge, bringing the free leg knee to your chest then grabbing the heel of your boot and then extending the knee. At first I couldn't even catch my boot heel. By the time we finished I was catching it and trying to extend... but I need a lot more stretching to attain a Y position. My personal opinion is that you have to execute these really well for them to look good, anything less and they look horrible on the ice. Right now I have a "can do" attitude .. or at least I am willing to try. I am really slipping on the video quality. This one is really fuzzy. 45 minute lesson all MIF. It was supposed to be 15 MIF and 30 free style, but the MIF needed a lot of work! Haven't skated in 6 days. Why do I do that????? I am used to having 1 lesson per week, not 3. Yesterdays meeting with the choreographer got canceled, today I botched up my MIF lesson. We were supposed to meet at 11:00 ... BEFORE the public session. I knew that, but I forgot and left for the rink at my usual time thinking I would have a lesson at the end of the public session. So ... no lesson today. On the positive side .. I had private ice. I skated for 40 minutes before I tweaked something in my back. I said TWEAK .. not that other word. I did some moves in the field and some single jumps and worked on the camel spin a bit. The sit spin is what tweaked my back. 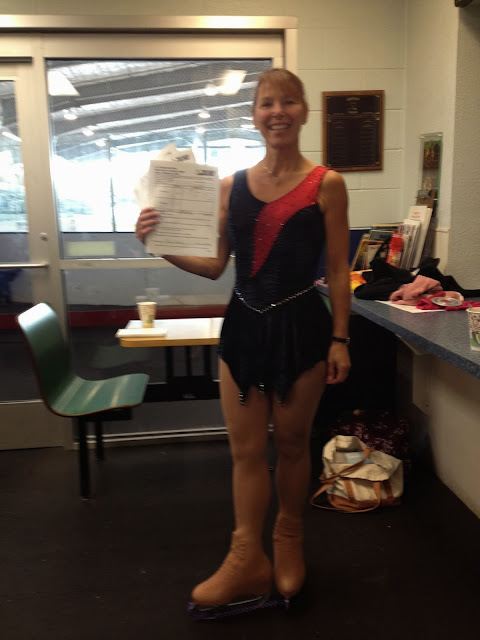 When I got to the rink today I was surprised and elated to see 4 other adult figure skaters on the ice. .. Well, at least show up and do our best! I was supposed to meet my new choreographer today, but her husband fell ill with the flu and she had to cancel. I was so disappointed, but we will meet soon and get started putting together my dramatic and light entertainment programs. In the mean time. It was business as usual. Video captures a few jumps and some Camel Spin practice. Like the backspin, I am getting closer .. one in every 5-6 spins doesn't see-saw. My last post was the last time I skated. I took a road trip to California and brought my skates along hoping to skate at 2-3 rinks along my route, but it never happened. It just wasn't in the cards. What was in the cards? The stomach flu. Need I say more? Finally back on the ice today and had a good lesson. We worked on spins today. Camel Spin, Camel-Sit Spin, Back Spin and a few unexpected Loop jumps including a Loop-Loop attempt. 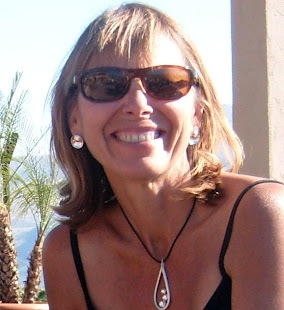 I also got connected with a choreographer Noreen Chloessy-Olson who will be choreographing both my dramatic/artistic and my light entertainment program for nationals. I also expanded my weekly lessons to 45 minutes to include a 15 minute Moves In The Field lesson every Tuesday. I think it's official. I am in training! It happened. Something I NEVER thought I would do in my life. Jump practice in a harness. We did Waltz Jumps, Toe Loops, Flips and tried a few Lutz Jumps. That was the hardest to do in the harness for some reason. I never had a really good one. I set up my camera for my practice and forgot it was down at the other end of the rink, so when I zoom in, it will be fuzzy. Oh by the way.... it's a blast being in the harness. Once you have the confidence and you know that no matter what you coach is going to either keep you from falling .. or keep you from falling hard ..
You can just attack your jumps and you can also think about other things while you are jumping. I don't mean day dreaming of course... my issue today was that my free leg was not crossed over my jumping leg .. in a jump position. I would pop out which of course slows that rotation and sabotages your landing. Warming up has never been my strong suit. My daily routine includes soaking my bones in a hot tub to warm my muscles followed by a 30 minute car ride to the rink where I usually go into the cold rink, put my skates on, lace up and start skating. After a 5 minute on ice warm up, I go to the wall and stretch. Today, in trying to get with the program, I did a few minutes of off ice jumping to warm up. I really need to discipline myself to arrive earlier and allow ample time for a proper warm up every day before I skate and also follow up with a proper cool down. I'm pretty sure it will improve all aspects of my skating and well being. I was planning on having a regular lesson today although I had no idea what we were going to work on. Lacing skate boots is a very OCD thing for most skaters. We all have our ritual or way of lacing that works best and feels comfortable to us. Sometimes, despite my best effort to lace good from the start, they will loosen up so much that I get a wobble in my ankle .. great for spread eagles, bad for jumps. No matter what I did today, I couldn't get lace happy, so I took my skates off before my lesson! My coach decided since my skates were off already that she would give me an off ice lesson today. Some of the jumps starting with a Waltz Jump, then Toe Loop, then Salchow. Coach Berkley says next week we will do 15 off ice and 15 on ice and she wants to put me in the harness! If you have followed this blog since the beginning, there was a time last year when she wanted to put me in the harness before and we somehow got distracted from doing it. I am a little nervous about it having never been in one. My fear is that I will hurl myself into the biggest leap and she won't be holding the rope and I will splat! Anyway, here is my progress today. YES progress. Camel Spin on the horizon. I skipped skating at home today and opted to drive to Missoula to skate their freestyle session at 4:00 pm. What I forgot to take into account is that Montana is in another time zone. I rolled into Missoula right at 4:00 and got 45 minutes of skating in. $15 for one hour of crowded ice, skaters buzzing around wearing their neon "I'm running my program - stay out of my way - vest" .... I did my best not to run over anyone or get in anyone's way. The good news is their ice is nice and it's warm enough to remove you coat after two laps around the rink! Other good news was that the coaches were all really nice and welcomed me. At least 3 different coaches came up to me after the session and introduced themselves. Thanks Jill, Patty and Ryan (coaches at MFSC) and to everyone at Glacier Ice Rink and the Missoula Figure Skating Club for being so welcoming and taking the edge off being so nervous! Having said all that here is an uncut 15 minutes of my freestyle session the evening before the test. 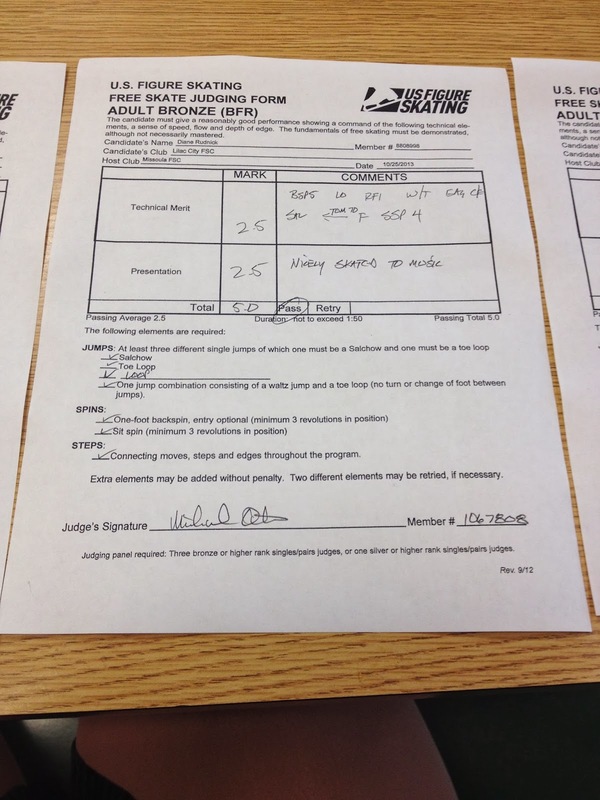 I skated 2 runs of my program back to back today. I didn't think I would do it. My plan was to just work on little things. Footwork, arms, bows, etc. 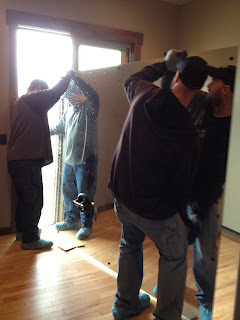 Yesterday I lifted a bunch of heavy shelving (360 lbs total) broken into small loads to my basement garage. I thought it might do my legs some good to put some weight in my arms and walk downhill in steel toed shoes on uneven surfaces in the dirt and hike back up 20 times until it was all done. OUCH .. I was kind of sore.... all over. I started out slow, but decided to buck up and run the thing a few times. Afterwards it was mostly a social fest. I was trying to learn how to do double three turns (Adult Gold Moves have them) and Twizzles .. they are like spinning, but in a moving straight line. Years ago only ice dancers did them. Now they are a part of freestyle skating. Short practice and one chance to run my program at the end, but I was really tired and I fell on my first jump (off camera). I tried to make up the time and I tried to throw in make up jumps. Hope this doesn't happen next Friday! Today I had a lesson. The plan was to not exhaust myself during practice and save my energy to have a full out run through of my test program. It didn't really work out that way. I started my practice by a few laps of stroking, as usual, then decided to execute all the Adult Silver Moves in the Field. I haven't done them in a while, so they are pretty rusty. That is video #1 below. After that I worked on a myriad of things including Lunges, Straight Line Spirals, the Back Spin and Sit Spin and all of my jumps including a Flip Jump .. and I even tried a full rotation of a Lutz Jump.. although it may be a Flutz. (That's what figure skaters call a flubbed Lutz Jump off the wrong edge.) Whatever it was, this was a major accomplishment for me. With the exception of the Axel, the Lutz is the hardest single jump for most people. I couldn't resist this video clip from Defending Your Life ... that's how I feel right now! Nine days till my test. Had a short but decent practice today. Lesson tomorrow which I hope to capture on video if it's not too crowded. Maybe I will wear my dress again. Learned something today about Prince. No can do on YouTube .. I tried to upload my video today with some improvisation to Purple Rain which I was planning to use for my Dramatic Skate at AN's, but he apparently blocks iTunes and YouTube from using his name or music. Guess I will just find another piece of music or not record any of my practices. I also downloaded a karaoke and an Etta James version in my quest for the right skating version.. looks like I wasted my time and my money. My revised video is still publishing. I will add it in the morning.. Meanwhile..any suggestions on music for purple dress? Before anyone comments on the shoot the duck ... I now know what a hydro blade is !! Just a few short days of practice and 2 lessons before my test. It's looking like I won't have the desired energy I want, but with a little luck it will be just enough to pass my test. My friends Hank and Sheila were at the rink today. Love having other adult skaters on the ice. I tried using another video program. (The one my coach uses - Coach My Video) but it cut off after 3 minutes... So not much footage today. I skated today for about 30 minutes before it felt like I pulled something and decided to get off the ice. I didn't stretch at the wall and started doing loop jumps and pulled a groin muscle in my right upper leg. I have done that before and really injured myself for weeks, so I just got off the ice and plan to lay low all weekend. I find, for me, that too much ice time does not pay off. 4-5 days per week is my max before I get really exhausted and start injuring myself. Yesterday someone commented to me on my Youtube channel that I was very graceful, but skating rather slow - that was his critique. I totally agree, but not sure how to attain more strength to skate faster and hold my edges and land my little jumps. Probably just need to get into the gym with regularity and determination to push my cardio to it's limit. ... a waste of time. There was a kids birthday party going on. The ice was not cut prior to the public session - it was choppy and really hard to maintain good edges and worst of all for me - nowhere to put my camera. At the end I finally found a niche to balance it on for 5 minutes while I did a few spins and a jump. After today I am off the ice until Wed Oct 9. Taking a few days off to rest my skating legs and my mind and play some end-of-the-season golf in Oregon. What terrible timing. I came down with a cold on Monday. I stayed in bed all day Tuesday. Wed I forced myself to skate only because I had a lesson. Thursday my hubby came home from a long trip so I stayed home again and today I skated for an hour with literally no energy. If it weren't for the young girl skating with brand new boots on ... making me look like a whimp ... I would have gotten off the ice immediately. Thanks .. whoever you are for getting me to skate today! I suppose I could have argued my case, but she didn't want to hear it. Skating coaches don't like skaters of any level to say "I can't". I took yesterday off because I was down with a head cold. I probably shouldn't have skated today either, but I did because it was lesson day. Even if I learn by listening I wanted to go. I did skate, but not well and not for long. A quick warm up and a 30 minute lesson, we focused on what I was trying to change in my choreography of my test program. She insists that I keep working toward what she has choreographed and if by the time we are 5 days from my test, things still aren't there, then we can make an adjustment for the test. 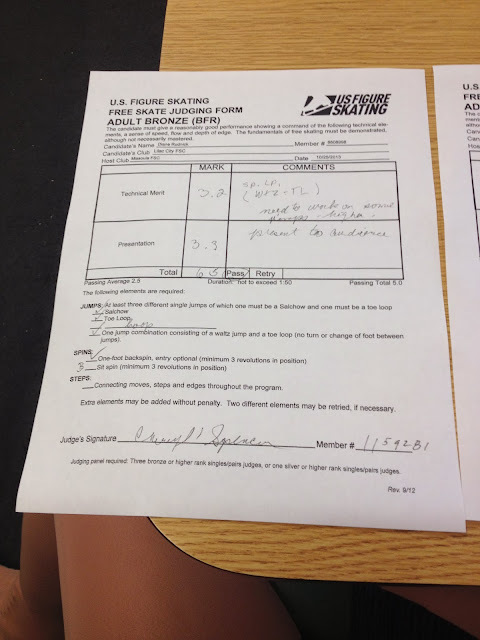 So back to my original footwork and program ending, but we did throw in a toe loop early in the program and swapped out the other toe loop for a loop jump at the end of the program. Sorry, no video today. I was too exhausted to get the camera out of my pocket! Best Way To Beat The Heat! It has been extraordinarily hot around these parts for the past few days. Today was no exception. Officially I think it was 98 degrees, but my car said 102 in some places. After golf this morning (yes I played golf in the heat -- and I walked the 9 hole course) I decided to go skate for an hour to "cool off". Company coming tomorrow for a week - Not sure if I can get on the ice again for a week. I may have to sneak away, just to get some ice time. Worked on jumps and even some jump combinations today and of course ... the back spin. Which, I must say is showing signs of light at the end of the backspin tunnel. After walking a few miles while playing 9 holes of golf yesterday I skated about 20 minutes of practice before my lesson. My legs were well stretched out from the walking, but I could still benefit from from some off ice warm ups at the rink BEFORE I put my skates on. Back on rink #2 today. I warmed up with some stroking, edges and 3 turns and then turned on the camera for some spins and a few jumps before my lesson. I moved my camera to the other end of the rink, thinking I would get another 5 minutes of practice on video and much to my surprise - it ran for the next 29 minutes and captured my entire lesson. I contemplated showing the 15 minute lesson in real time - raw video ... but there was quite a few minutes of conversation and off camera skating that frankly would have put anyone to sleep. So I cut to the important parts of the lesson (for me) that will help me remember what we covered. I did about 30 minutes of off ice stretching dynamic and plyometric exercises designed to improve strength and flexibility as well as preventing injury for figure skaters. Mind you, they didn't have ME in mind when they prescribed these exercises. When I got to the rink I found out the public session was on rink 2. Anyone who skates at a rink with 2 rinks knows what this is like. 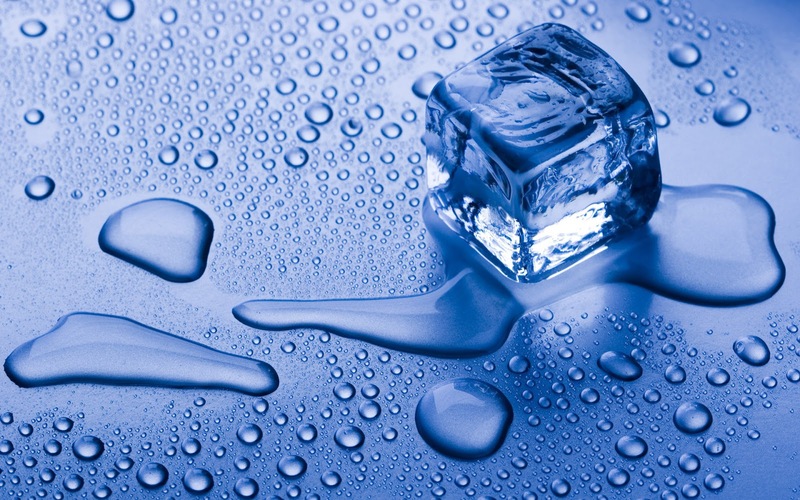 Different ice, different dimensions, temperature, texture, ceiling height. Coaches will tell you how great this is to have 2 ice surfaces to skate on because competitions are rarely on "home ice", but I am here to tell you.... it's just one more obstacle for me! Today was the first day of skating after the schools let out for the summer. It was quite a bit more crowded than I am used to and the ice was not cut very well. There were bumps on the end by the Zamboni and as always ... the hockey players hack up the ice pretty good. I was skating out of guilt today. My Monday lesson was cancelled due to summer scheduling conflicts and I didn't get on the ice all week. I merely went to stretch my legs today. With all the people skating I had to put my camera behind glass and I only had the center ice to work on anything I wanted to capture on video. I am running out of post titles for my practice sessions. Obviously every time I go out on the ice I am practicing jumps and spins .. however small and slow they may be. I wore a skirt today because I wanted to see my leg lines and positions. Skating in pants hide this and it's all important to both the technical and artistic side of skating. Today I worked on the things I learned in my last lesson. Always easier said than done. Changing my jump landings is like telling someone to intentionally walk pigeon-toed.. it just feels awkward. Stepping into my circle also feels different and takes a strong conscious effort, but already is showing better results. See what you think. I didn't roll the camera for my lesson today. I captured a little of my pre-lesson practice and then just concentrated on my lesson .. during my lesson (for a change). This week I am dealing with a torn muscle of some sort under my side from playing golf. I felt something go PING the other day and it wasn't the sound of a golf club. I have been in quite a bit of upper body pain over it and was reluctant to skate. I didn't seem to affect my skating except that I feel more fatigued than normal. WHATEVER! I sound like a broken record about my aging and broken body! I learned today that I am not always spinning into my circle. (I may have to draw this out). When you wind up for a spin from back crossovers, on the last step R foot over L you create this arc on a back R inside edge. When you step into your spin .. you are supposed to step into that same circle. I sometimes step away from it out of the circle.. thereby losing energy needed for a higher number of revolutions.. also losing my balance because a spin that starts where it's supposed to will be more centered from the beginning and is more likely to stay centered. Ok. That paragraph won't mean anything to you unless you skate. Anyway, I learned what I am consistently doing WRONG in my scratch spin. I made some progress on my back spin and learned what I am doing WRONG in my camel spins. Next practice I will hopefully demonstrate some improvement. I haven't skated since my last lesson 5 days ago. Hence, there is not much progress on my part. Kind of a wasted lesson because we just went over the same things. My current struggle is my inability to hold the proper edge and body position after landing a Waltz Jump (or any other jump). I will never be able to reach back for a combination jump if I cannot hold the proper edge and body position. The fundamentals of any sport - learned incorrectly - will stab you in the back later .... skating is no exception. I attempted a few Lutz jumps (and popped them into 1/2 Lutz jumps). My coach taught me a new Lutz entry I did not use as a child; crossing the left foot over the right before toe picking to help insure you are on the correct back outside edge. The only difference between a Lutz and a Flip is the take off edge. Ok, it's official. 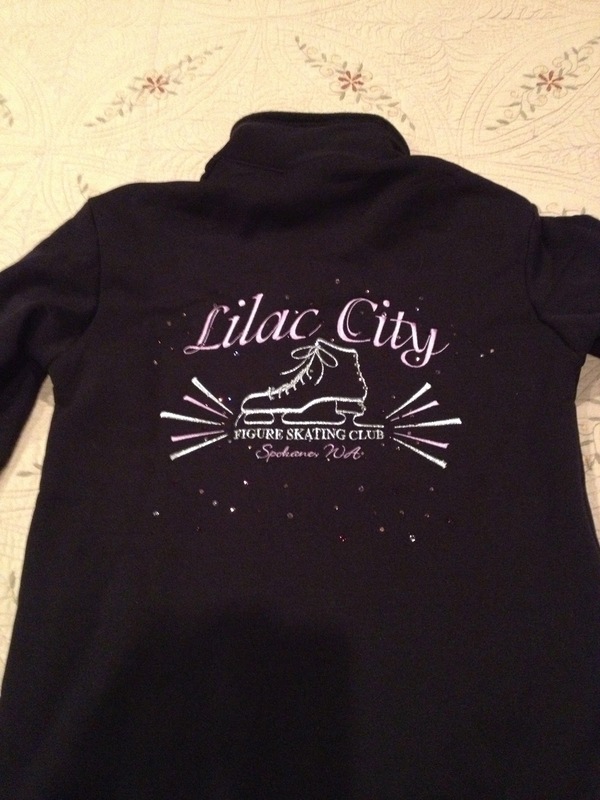 After returning from Adult Nationals I realized that if I intend to go next year (and or compete anywhere locally under the club name) I need to get a club jacket. I don't ordinarily skate on club ice. I have the luxury of being one of a few adult skaters at my rink and my mid morning skating and lessons can be done on our public session. 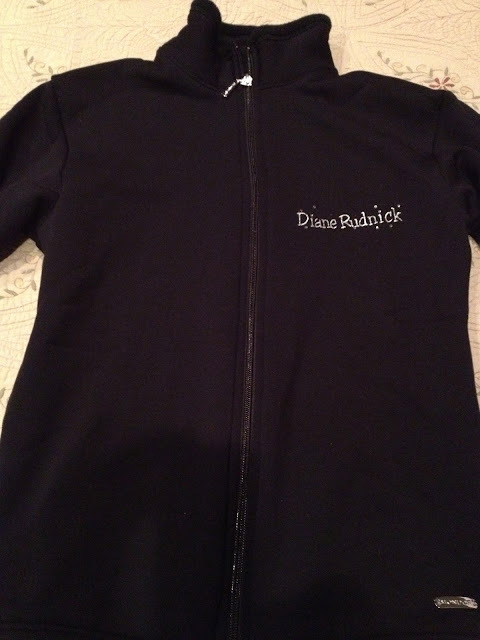 I am so grateful to the rink and my coach for this. Skating is EXPENSIVE. But for me it's more about having the ice to myself as an adult and not having 20 Preliminary-Intermediate level skaters to dodge while I am practicing my Moves in the Field. So now that I have the jacket, I better get back on the ice and start preparing for my next goal: a competition in June and July and taking my Adult Bronze Free Skate Test and Adult Silver Moves In The Field Test. No more excuses. My house is complete and I now have to make use of this exercise room. My plan is to dedicate an hour a day to ballet, off ice skating workouts, Pilates, yoga, stretching, weights, conditioning. 2 more weeks and we will be moved in. I'm still too busy to get on the ice regularly and when I do skate, things don't always feel right. Today was one of those days. I had 15 minutes of empty ice while I was warming up, but did not feel good about freestyle. I had shaky legs, bad edges, etc. So I decided to work on Adult Silver Moves In The Field. This is my next test level for MIF. I forced myself to squeeze in an hour to skate yesterday. It's been over a month since my blades have touched the ice and it's been several months since I have been skating with any regularity and/or seriousness. We have been building a house and we are in the final stages and so my time has been otherwise occupied. Very exciting, but my skating has suffered. Next month I'm planning a trip to Scottsdale, AZ to be a jealous spectator at the USFSA Adult Championships. 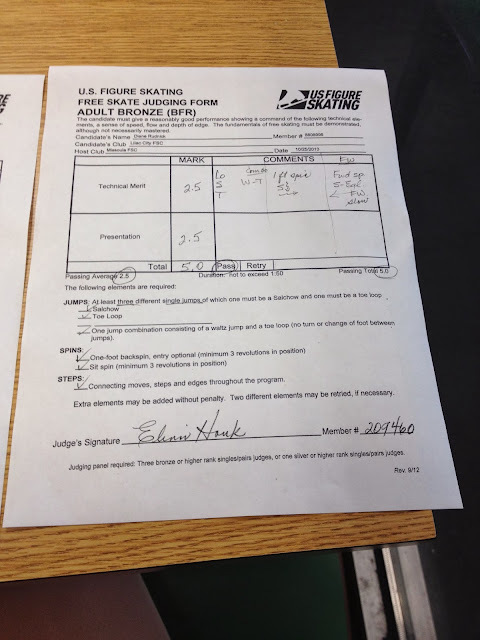 I really wanted to participate as a skater this year, but I didn't have enough discipline to keep going after my July competition, so this year I will attend with envy and anticipation of next years Championships to be held in Hyannis, MA. Three Men and a Lady !! Ski or Skate? 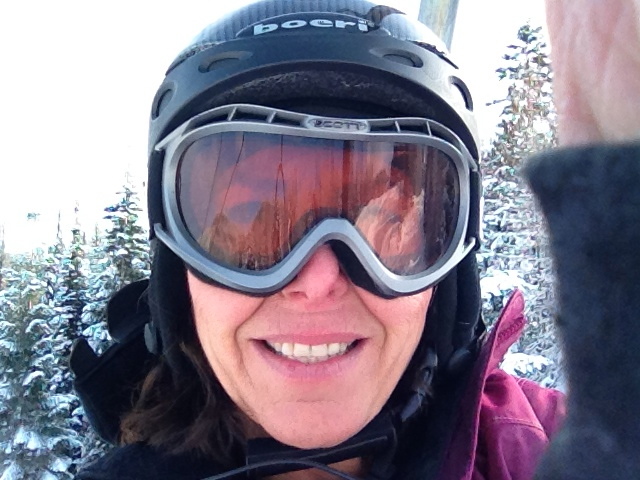 How about ski skates. K2 Fatty's ..... so yes .. I skated today! Building our home has been taking up most of my time these days, but I finally got a chance to skate yesterday. Unfortunately there was a pack of little kids I had to dodge so I didn't dare set up my camera at one end of the rink and leave it there. I tried a few spins including a camel and even a back camel attempt. I was actually quite pleased to get 4 revolutions out of my camel spin with my leg up. As for the rest .. not much to brag about. 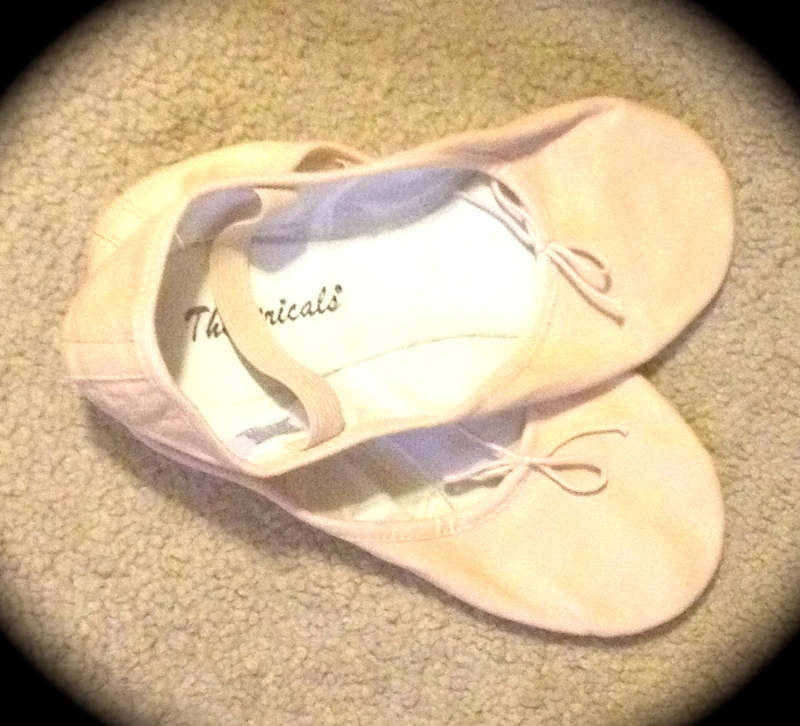 Last night I had my 3rd ballet class. (private lessons so far!) I'm trying to remember all this French terminology ... it's as hard as the dancing.